The Intex Aqua i3 is a budget smartphone with average specifications. Not that it is disappointing, but it can not beat the competition. Since there are so many other options available in the market with better battery life and camera, this one is not the ideal choice. So you might want to explore other options rather than settling for this one. At INR 6990, the Intex Aqua i3 is a little over priced for the features it comes with. 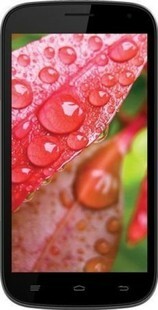 The Intex Aqua i3 ships with a 5-inch display carrying a resolution of 480 pixels by 854 pixels. The resolution is very low as per the price and you might not enjoy watching videos. Coming to the processor, it packs a 1GHz unit paired with merely 512MB of RAM. This is not enough for multitasking or playing heavy games. Moving on, the internal storage is merely 4GB. Thankfully it can be expanded up to 32GB. For clicking pictures, you get a 8MP rear camera and a 2MP front camera. The video calling experience is not that great. The phone is powered by a 1800mAh battery that will last for about 10 hours. Apart from that, basic connectivity options come with this phone. Overall, there is nothing wrong with this phone but it is a little overpriced. In today's scenario companies like Xolo and Redmi are providing way better specifications for the same price. Intex Aqua i3 full specs and reviews as of Apr 2019. Buy it here!